Two-wheeler which is the highest selling segment of the Indian Automobile industry is all set to receive some tighter emission norms this week. The segment is collectively responsible for contributing significantly towards air pollution. As per recent study around 80% of the total automobile sales in India are two-wheelers, which are responsible for emitting four to five times more oxides of nitrogen when compared to petrol cars. Various studies conducted have suggested that pollution caused by two-wheelers in cities like Delhi is very high. Out of the 1.97 crore vehicles sold in India in 2014-15, two-wheelers accounted for 1.6 crore. While we support the industry as it is a vehicle for middle-income groups, two-wheelers need to comply with stricter emission norms," said a government official. Two-wheeler manufactures in India had earlier opposed this decision citing that tighter emission norms would impact the mileage of the vehicle significantly. As per the government norms NOx emission limit for BS-IV standard petrol car is 0.08 gram/km but for a two-wheeler, it is 0.39 gram/km. The BS-IV standard for new two-wheeler models will come into force from April 2016 & for existing model from April 2017. With the government focusing on making long term policies that will help combat the air pollution, we hope that the companies & end customers understand the necessity of the same. While the government is making it compulsory for the manufacturers they would not have a hold on the say of customers as the two-wheelers with BS-IV standard will be slightly high on cost. Looking ahead to buy second hand two wheelers in Delhi, visit Shriram Automall & experience their unique physical bidding platform to buy a pre-owned two wheeler easily from a wide range of vehicles. 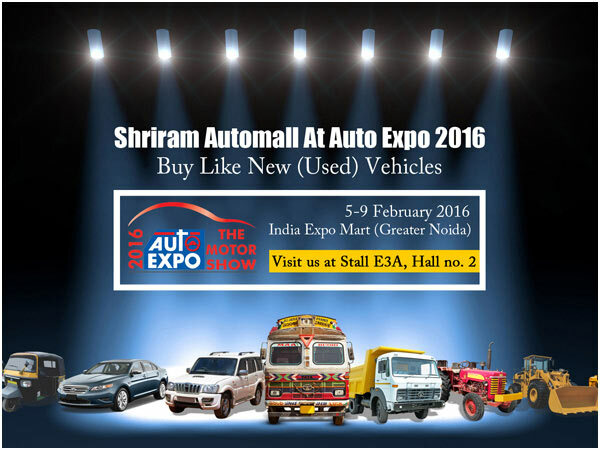 Shriram Automall at Auto Expo 2016, How To Find Us? Shriram Automall countries largest service provider for exchange of used vehicles & equipment in India is participating at Auto Expo to show their unique Physical Bidding demo & its transparent process that is organizing the market dedicated for used vehicle exchange in India. You can visit us at Stall No. 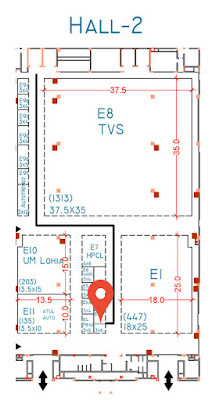 E3A, Hall No. 2 All days. The world of SUV’s in India has been dominated by not much of players other than the Ford, Toyota & some premium brands lime Audi & BMW. Lately we have observed immense competition between the Ford Endeavour & the Toyota Fortuner, however the later went to miles ahead due to its latest technology & up to date features. However now the Endeavour is back with its all new model since 2009 to take the competition on its head & prove its metal again. The all new design gives it a bulky look & makes its better looking than its predecessors. Sporting a bright red color the SUV definitely stands a step ahead when compared to its competition. New styling elements like LED daytime running lights, skid plate and a humongous grille makes it a class apart. The company has managed to deliver a classy interior with a combination of beige & black color with an up to date infotainment system dominated by a 8 inch TFT touch screen having the SYNC 2 Infotainment system. Big & fully automatic steering wheels that have features to control your music system, answer calls etc. The all new SUV comes with two engine options. There is a 2.2 diesel with 158 bhp and 385Nm while the more powerful 3.2 diesel offers 197bhp and a massive 485Nm of torque. The 2.2 engine version has option to choose from either 6 speed manual gear box or an automatic one however the 4x4 version only comes with manual gearbox. When compared with the earlier version the major difference except the design is the ride quality which has increased tremendously. Now there is less bounce & shock even on bad roads. It also promises to be excellent off-road with a ground clearance of 225 mm and water-wading capability of 800 mm along with an intelligent four-wheel drive system, an active transfer case with Torque on Demand and Terrain Management System. The company plans to showcase the SUV at during the Auto Expo 2016 with another biggie named the Mustang. Shriram Automall is also participating at the Auto Expo 2016 & will showcase a demo of its physical bidding event at 12, 3 & 5 PM all days. Subscribe here & get a free goodie at our booth no E3A, hall no. 2 & also get live updates of the event. 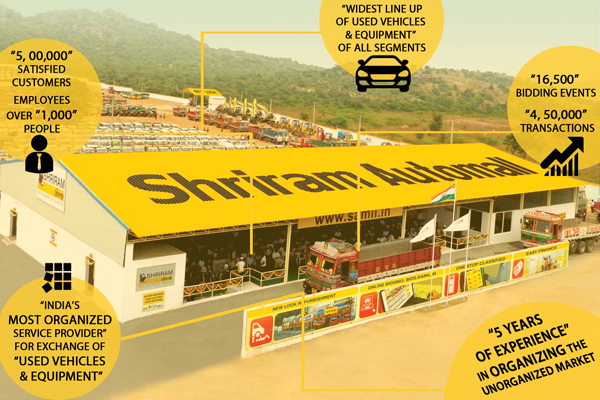 Shriram Automall – Country’s largest & the most organized player for exchange of Used Vehicles & Equipment. Visit us at Auto Expo – The Motor Show 2016 at Stall no E3A, Hall No. 2. When it comes to buying a used tractor, farmers know what they are looking for when they coming to our bidding events at Shriram Automall. They are totally in sync if they want a Mahindra, a John Dere, Tafe or a Sonalika. Knowing the brand to buy is not enough; a customer has to know what exactly to look for while buying a used tractor. Check out the overall appearance of the tractor, the one that looks good is generally well maintained as dents, peeling paint, cracks, scratches are a sign that shows the tractor has been bullied or even abused by the owner. Before making a decision you need to check the overall look which includes the tires as buy a tractor with bad tires may well cost you a bomb to replace them. Lift the hood, start the tractor & let it run for some time to check if the engine gives up in between. Check if there is any leakage in the fuel tank, worn hydraulic. Make sure you now check the emission standard as the government now is implementing strict rules for vehicles above 2000 cc end time. Check the cabin efficiently, mud inside can be a sign that the tractor has not been maintained well. Check all the displays including the electronic components if they are working fine or not. At Shriram Automall we encourage sellers to supply with the maintenance documents inspection lists, work orders and other supporting documents. Buyers can ask for these documents from the respective Automall managers & he will supply them in case of availability. What kind of tractors you are looking to buy? Choose from a wide range of second hand tractors for sale in punjab, India with Shriram Automall. If you are looking forward to visit Auto Expo 2016 from 5th Feb to 9th, then don’t forget to watch Shriram Automall live physical bidding demo event at stall no. E3A, Hall Number - 2 and know more about a unique platform for purchasing and selling pre-owned vehicles in India. If you want to get live event updates of the event, simply sign up and receive the updates in real time. After months of speculations & news Mahindra has finally launched its all new KUV 100 where the K stands for ‘Kool’. Mahindra with its new segment is targeting the young audience through its campaign. The car is launched at a starting price of INR 4.42 lakhs. It is offered in four main variants – K2, K4, K6 and K8. Mahindra has powered the KUV with its all new mFalcon range of engines, similar to the ones used in the TUV 300. The engine has been certified by the ARAI fuel efficiency of 25.32 KMPL where the petrol version delivers 18 kilometer per liter. KUV also comes equipped with some good security features like ABS and EBD which is a standard in all variants, dual front air bags comes as an option over version update. The car also meets the current & future safety norms standards. KUV also offers a decent boot space of 243 liters (473 liters with the rear seats folded). The top version of the KUV which is K8 comes equipped with a bundle of handy features like Mood lighting, LED roof light, follow-me lights, LED daytime running lights, ISOFIX mounting point, cooled glovebox, 6-speaker audio system with USB and AUX which is priced at a good 5.91 lakh for petrol & 6.76 lakh for the diesel version. The all new KUV100 will rival the likes of the Hyundai Grand i10, Maruti Swift and Maruti Swift Dzire & comes equipped with a Bluetooth enabled infotainment system with a 5 & 6-seater option. With a couple of new launches in short span of time we can see that Mahindra is eying to increase its share in the passenger vehicle segment which is largely dominated by Maruti & Hyundai. If you are looking ahead to buy second hand cars in Bangalore than paying a visit to Shriram Automall will be helpful. The company offers a wide range of pre-owned cars under a single roof. Government of India in order to improve the road safety is attempting to make a law to have two drivers compulsory for commercial vehicles. The aim behind the law is to enable a driver to have better rest on long & tiring journeys as well as enhancing the road safety by avoiding accidents caused by lack of sleep of commercial vehicle drivers. The government in addition is also planning to ease the process of obtaining driving license for commercial vehicles by reducing the minimum education qualification. The central government is attempting to amend The Central Motor Vehicles Rules 1989 to legally bring about this change. However to give you a sight of the other side the motoring authority will now have to put a strict check on the moving of these vehicles to make sure two drivers are present in the vehicle. The additional burden to employ an extra driver to comply with the rule will definitely put an impact on the freight rates. This will definitely increase the jobs for drivers however the support people will now have to lose their job as the owners will prefer the extra driver to do the cleaning & food preparing jobs. With these new rules targeting at road safety we hope to have a pleasant road experience even on long trips. If you are looking ahead to purchase used commercial vehicles than paying a visit to Shriram Automall will certainly result positive as the company offers a wide array of pre-owned vehicles under a single roof. Shriram Automall India Limited, India’s largest service provider for exchange of used vehicles & equipment will be participating in the upcoming Auto Expo in February 2016. The company will showcase a demo of its unique physical bidding event during the show along with unveiling its contribution towards organizing the unorganized used vehicle market in India. Auto Expo is the largest Auto Exhibition that happens once in every two years. The show features world most renowned manufacturers including the GM Group, JLR, Bentley, Audi, BMW, Chevrolet, Datsun, Benelli, Fiat, Eicher, Hero & Honda to name a few. Shriram Automall offers services for end users, dealers, Banks & NBFC’s etc. The company offers professional services to buy or sell used vehicles & equipment through its transparent bidding platforms. Customers can visit any of their nearest Automall to participate in a bidding event however they can visit couple of days before to physically inspect the used vehicles & equipment to place their bids on. The company has tie ups with leading banks & NBFC’s of India who have chosen Shriram Automall’s professional services for disposal of their inventory. You can visit Shriram Automall at Stall No. 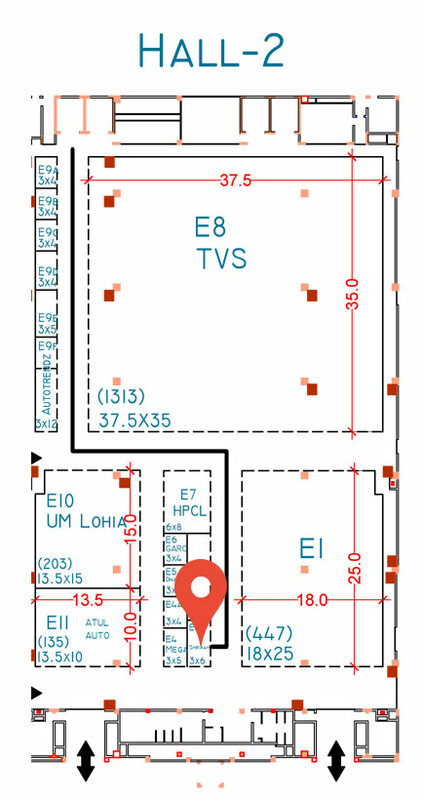 E3A, Hall No. 2 from 5-9th February 2016. As per reports Nissan will launch its GT-R in India in 2016; however the car will make its debut during the Auto Expo in February 2016, Noida. GT-R was launched in 2008 & is coming to the Indian market after long eight years on its launch. The car is all set to rival the likes of Audi A8, Porsche 911 in India & it may be priced well low then both the two mentioned cars. The Nissan GT-R receives power from by a 3.8 liter twin turbo petrol v6 engine that makes a high 545 PS & 627 Nm of torque sent to the four wheels through the 6 speed manual transmission. The company will also be unveiling the all new India-spec Nissan X-Trail Hybrid that will be imported via CBU route. The other cars that will feature at the auto expo by the group company will be the AMT version of the Renault Kwid, Datsun RedoGo & GoCross concept cars. Some other cars that will feature at the Auto Expo 2016 will be America’s largest Automobile manufacturer Volkswagen’s Ameo Compat Sedan, Chevrolet Beat Sedan. Cars to feature from other automakers include Jaguar XE Sedan, Toyota Vios, Tata Kite compact Sedan, Honda Accord, Tata Nexon, Tata Hexa , SsangYong Tivoli & Mahindra Quanto/ Canto to name a few. Shriram Automall country’s largest organized player for exchange of second hand vehicles & equipment will also feature at the event to market. You can visit them at Stall No. E3A, Hall No. 2 to experience their unique physical bidding event & to know more about the trends in used vehicle market etc. The Delhi Auto Expo 2016 is said to be the biggest of ever since its inception. This year it is all set to witness a record number of product launches. As reported by the economic times the event will feature 85 new passenger vehicles, utility vehicles, two-wheelers and commercial vehicles waiting to be introduced which will be fifth more than the last edition. Society of Indian Automobile Industry is said to be expecting a daily footfall of over 1, 00,000 visitors which will be the highest in any Auto Expo globally; thanks for the lineup of new launches & participation by the world’s biggest Automotive manufacturers. Some of the most awaited launches will feature the Vitara Brezza, the compact sport-utility vehicle by the country’s largest manufacturer; Maruti Suzuki. The company is also expected to launch some other models including the Ignis - a compact car with the design language of an SUV - to take on Renault's Kwid. General Motors will offer the updated version of beat & the Cruze. Fiat will feature all new Tipo. Ford will come up with its Indian version of widely successful Mustang which most of the youngsters & industry experts are waiting for. Some other cars that will feature in the Auto Expo 2016 Noida will include the 2016 Audi A4 which is based on the MLB Evo platform. The new A4 sports new features like the Matrix LED headlights, Virtual Cockpit, phonebox with wireless charging etc & is lighter by 120 kg. Go-Cross Concept - First revealed at the Tokyo Motor Show last year the all new Go-Cross concept will be showcased at the Auto Expo this year. The GO-Cross concept is based on GO+ MPV platform, and expected to be positioned as a sub-4 meter crossover. Tata motors that came back into business last year with the launch of the Bolt and the Zest, is expected to showcase the Sway sedan & its group company JLR will bring in the new sports saloon Jaguar XE. Also on display from the JLR stable will be SUV F-Pace. With these new launches at the Auto Expo 2016 we are sure the event will be a roaring success of all time. Shriram Automall which is the largest organized player for exchange of used vehicles in India will also feature at the event to market. You can visit them at Stall No. E3A, Hall No. 2 to experience their unique physical bidding event & to know more about the trends in used vehicle market etc. Hyundai Creta, winner of the best car of the year by ICOOTY for the year 2015 took the industry by storm & has received over 90,000 bookings. Now Hyundai is planning to take on the likes of Ford EcoSport, the forthcoming Maruti YBA and the Mahindra TUV300 by launching its all new sub-4 meter SUV during the Auto Expo 2016. The all new compact SUV will feature a similar engine as of the Hyundai i20 and will be offered exclusively with a front-wheel drive arrangement. The source of its power will be the 1.2-liter Kappa petrol with Dual VTVT and the 1.4-liter CRDi diesel. It is expected the company will only display the design of the car however the actual launch may take place in an years time. Hyundai Motors India Limited will set the price in between the Elite i20 & The Creta. The report states that HMIL is keen on having a 5-member crossover/SUV portfolio extending from the i20 Active to the flagship Santa Fe. The company is riding high in a bid to dethrone India’s leading car maker, Maruti Suzuki as the company plans to enter into all new segments including the UV. The sub 4 meter SUV will get the excise duty benefit that will make its price range highly competitive. With the new & impressing launches coming up soon we believe that the market will be on the rise, however if you wish to acquire second hand cars in India than Shriram Automall is the right place to be. The company offers a wide range of used Hyundai cars to choose from under a single roof. You may also take benefit from their professional allied services including easy finance. Being a Delhiite we know you are facing the problem from the Diesel SUV ban above the 2000cc. Buying & registering diesel cars will not be happening soon as the Supreme Court has rejected the plea of Mahindra, Toyota & Mercedes to uphold the ban on registration but the court decided to the other way around. Don’t worry with this article we bring you the ways through which you can beat the Diesel SUV ban like a pro. The Supreme Court has only banned the sale of new Diesel SUV’s in Delhi, so it’s time to purchase a used SUV. 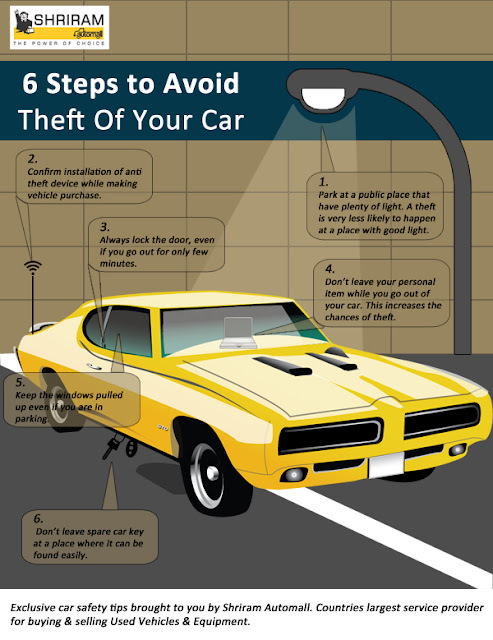 Yes you will get an older generation car but think about the positives here. You will be able to save big, registration will be easy, and you will skip the big chunk of depreciation associated with new cars. So if you are looking to buy an Endeavour, Scorpio, Safari or even any model of Mercedes you can still get one easily. Luckily Shriram Automall which is present in three major locations around Delhi NCR including Manesar, Sohna & Narela offers the most exciting line up of these vehicles. Simply visit the Automall at one of their bidding event, inspect the vehicle & place your bid on the one you like. It’s time to cut down your expectations if you are looking ahead to buy XUV 500 then how about settling with a TUV as it comes with both diesel & petrol engine options. We agree that most people won’t agree with us on this but this is surely worth a try as it will save you the money & even get you a new car. We know that 31st March is still 2 months away however if you are seriously looking to purchase second hand SUV, then wait for it. The Auto Expo is also around so who knows you may find some good alternatives there to choose from. Exclusive car safety tips brought to you by Shriram Automall, India’s largest service provider for buying and selling used vehicles & equipment. Mahindra, who is riding high with the success of its XUV500 & TUV300 is all set launch its all new model in the two wheeler section named the ‘Gusto 125’. As per the early information the scooter will premiere during the Auto Expo in February 2016. The all new Gusto will have features like seat height adjustment, the key fob with remote control, large diameter of wheels with some visible & bold design changes. The engine is expected to be generating around 10 PS of max power and about 10 Nm of peak torque. The engine will be mated to a CVT gearbox. As we expect the Gusto 125 will give a mileage of around 45-50 KM’s per liter. As far as performance is concerned we expect it to give a tight competition to rivals including Activa 3G & TVS Jupiter. It should be offering good handling and maneuverability that are suitable for the traffic stricken city roads of India. Mahindra gusto expected prices would be between Rs. 52000-58000. Along with Gusto, Mahindra also offers two more models in the 125cc category namely the Rodeo & Duro. With the launch Mahindra is aiming to expand its market share in the bikes & scooter segment which is mainly dominated by Hero & Honda till now. We await to see how the audience respond to the new scooter. You can stay tuned for a full review after its launch. If you are looking ahead to purchase a used two wheeler than Shriram Automall is the one stop destination that offers the widest range of used scooters for disposal. Go ahead & experience the unique bidding experience. You may also submit your requirement to get a call back from us to assist you further. Begin the New Year by buying a ‘New Used Car’ from Shriram Automall. The company offers a wide array of used cars of different make & models under a single roof. The company offers a wide range of Used Hyundai cars for disposal. Hyundai – India’s second largest manufacturer have a list of cars that tops the chart every now & then, recognized for the quality both in terms of built & customer service the company has won the heart of many. Hope this blog will help you to find one of the best second hand Hyundai cars in India for your family this New Year. If you want a call back from us, simply submit your requirement here and someone from our support team will reach you at the earliest.